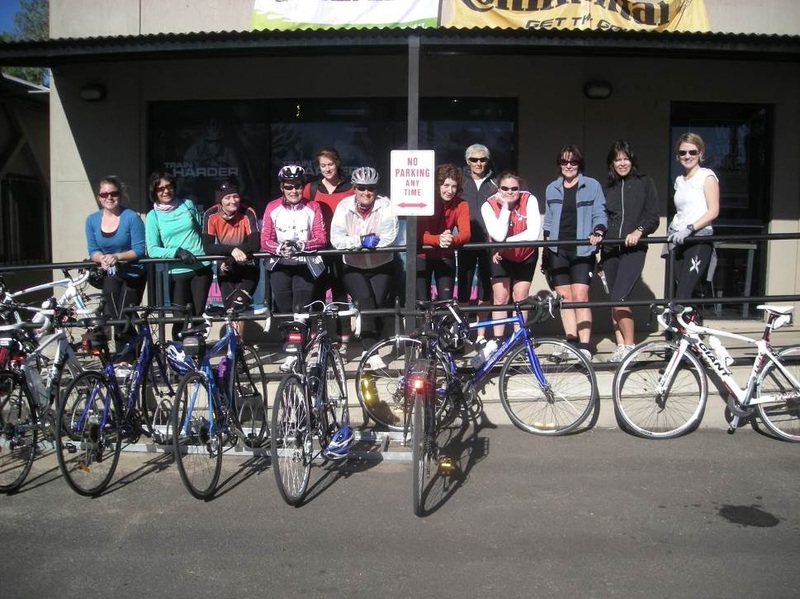 In October 2010, a little group of female cyclists gathered at Tom Brown Roundabout to ride as a small peloton. 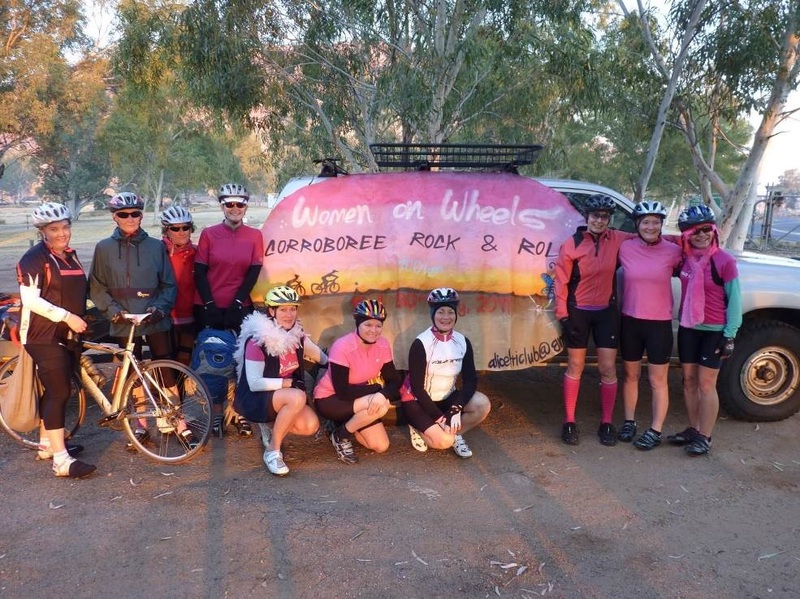 The group was formed largely in response to women who were becoming interested in Triathlon but who were quite nervous about road cycling. The ethos of WOW is all about encouraging and assisting female riders. 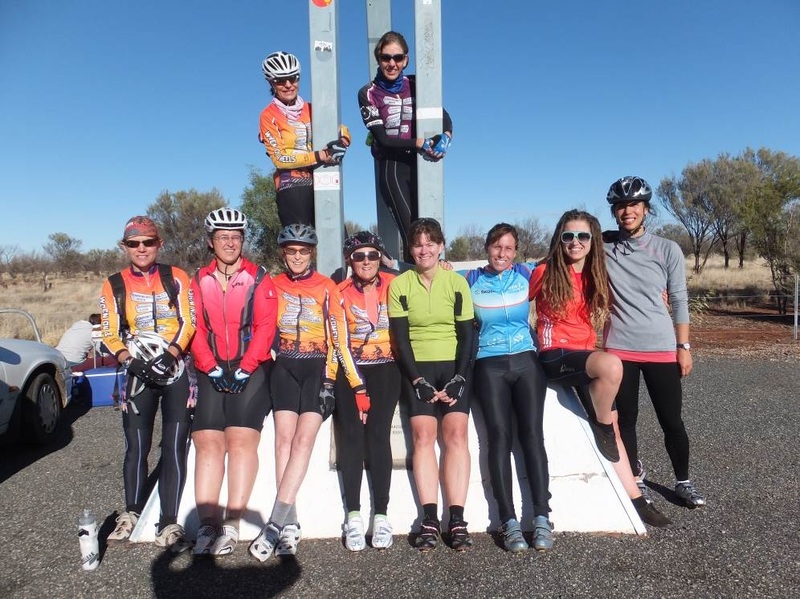 The group aims to cater for a range of cycling experience and skills with rides that offer a choice of distance and pace. A high priority is placed on nurturing novice riders. 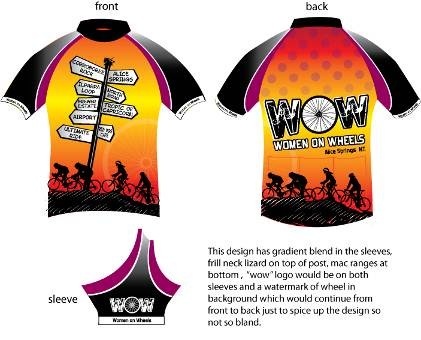 The group has identity through the creation of unique summer and winter cycling jerseys that were designed by Helen Buckley. 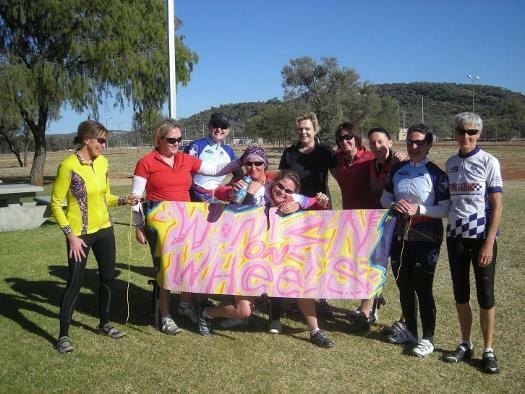 The design incorporates a background of the MacDonnell ranges, silhouettes of female cyclists, signposts of our regular ride destinations and café and a special feature in the fast cheeky dog logo designed by Dion Beasley, an Indigenous artist from Tennant Creek, this logo is our link to the Alice Springs Triathlon club. 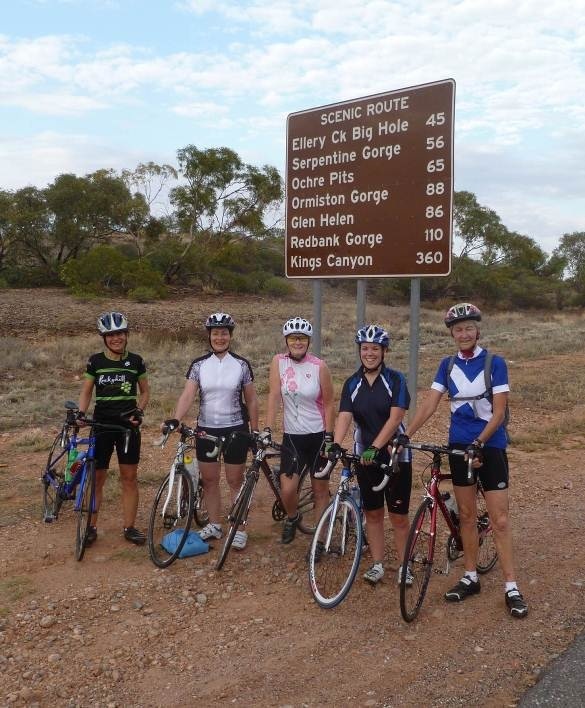 We aim to have several longer distance rides throughout the year, often for special occasions. 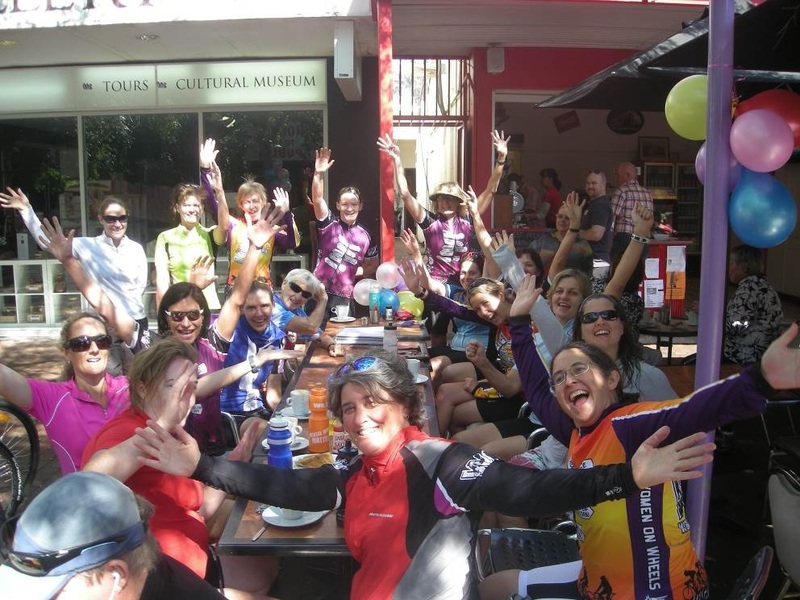 These rides help to build distance in a supportive environment and also provide a great social occasion for us to get to know our fellow riders. 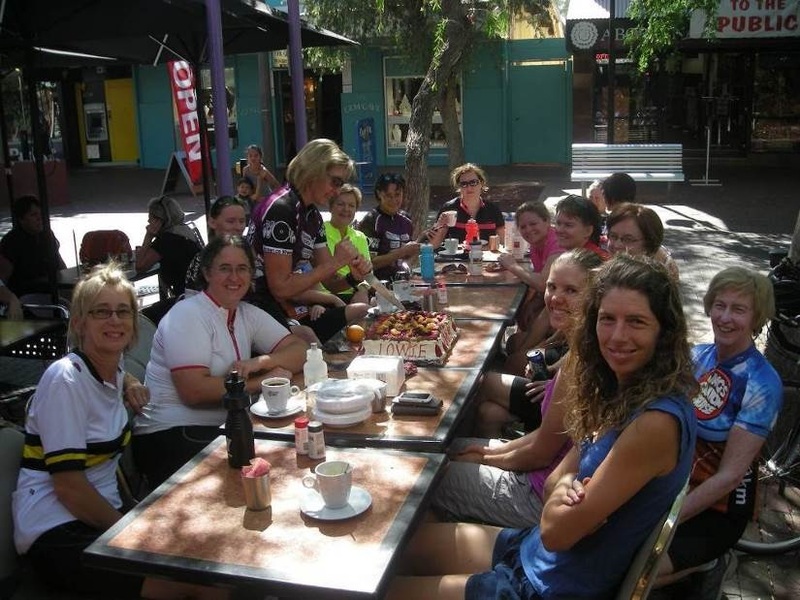 Many of these big outings finish in true WOW style with refreshments (including cake) and a wonderful setting to share our friendship. 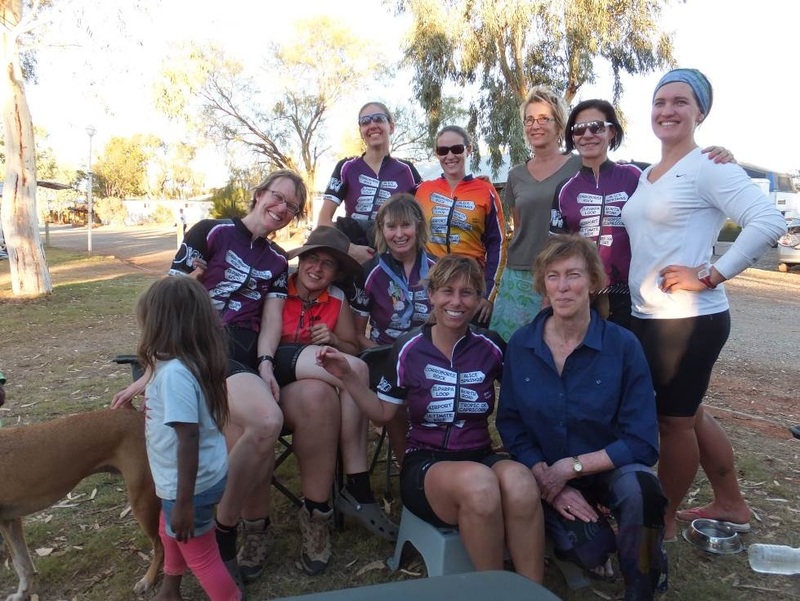 They often require a support crew for safety and logistical reasons (most importantly carrying cake) which is a great way of getting friends and family involved in our special group. These outings are advertised in advance in our weekly newsletter and on our Facebook page. 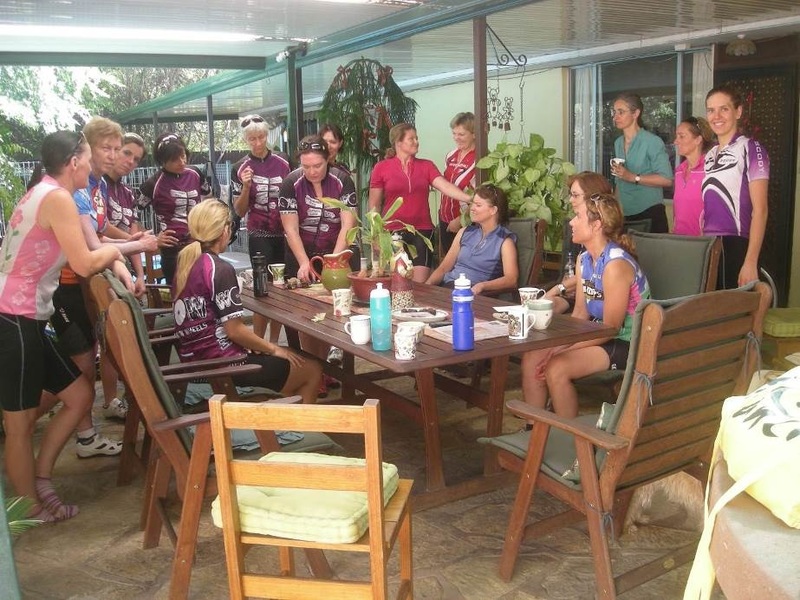 Coffee at Red Dog Café is a regular post ride ritual. 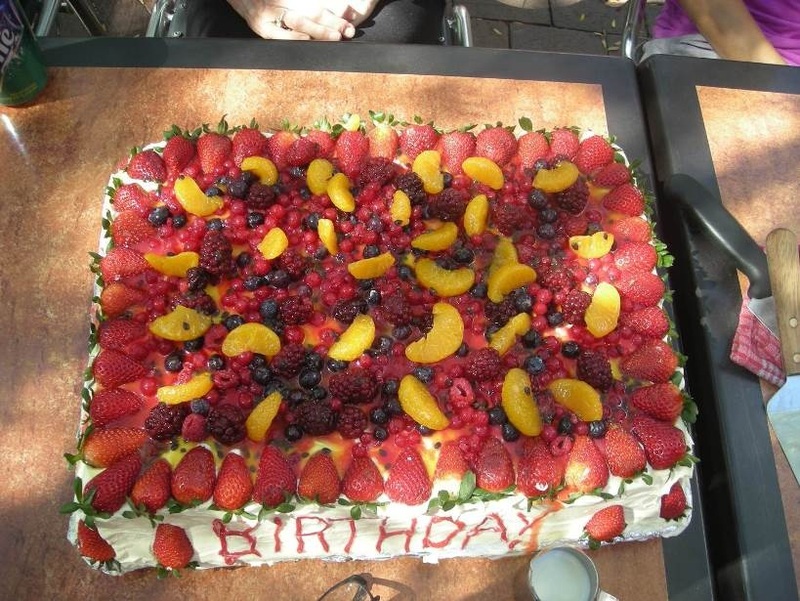 However, WOW women love any reason to celebrate (eat cake). 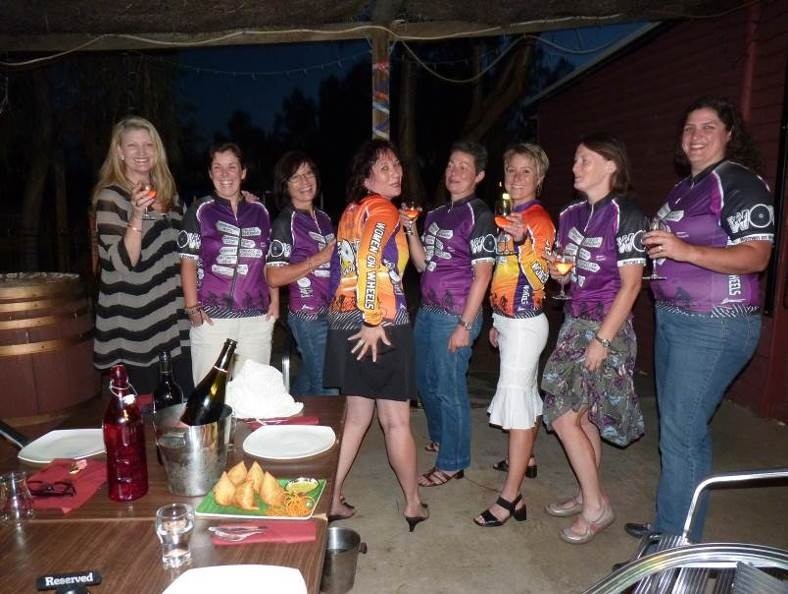 Milestone birthdays, sporting achievements, special occasions and comings and goings of our regular riders are all reasons for us to enjoy an extra special gathering with appropriate festivities. 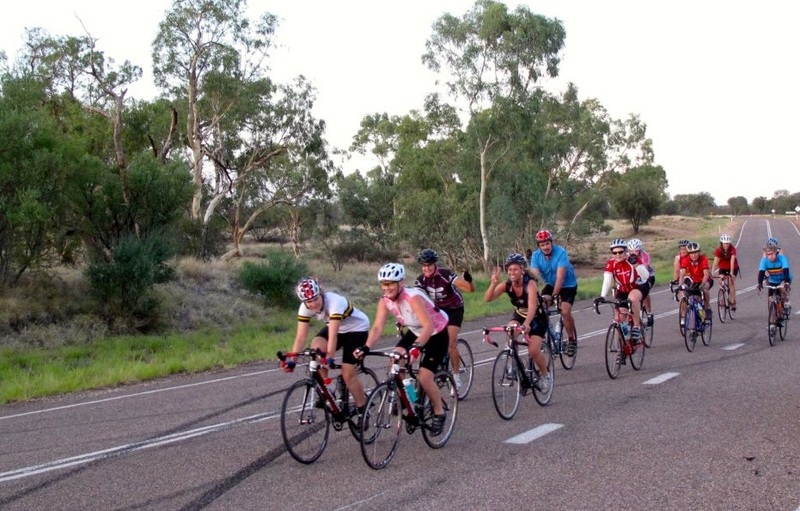 Many of our riders participate in Triathlons (and Duathlons) held throughout the year by the Alice Springs Triathlon Club. There are also many training opportunities through our link with this group and they are an extremely welcoming and friendly bunch of people. 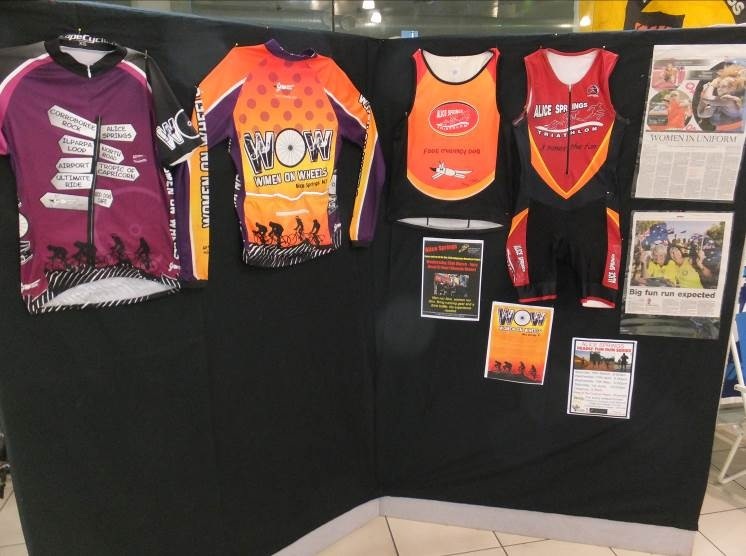 We aim to support any of our riders who may wish to give triathlon a tri, whether as an individual or as part of a team. Basic bike maintenance is an essential ingredient of being a cyclist. Keeping your bike in good working order makes for nicer riding and minimises any mechanical mishaps that may occur. This is nothing to be afraid of, and you will find plenty of knowledge amongst the WOW group. We will always stop for any mechanical mishaps or flat tyres as a group, rest-assured you will be supported if any problems occur. These mechanical stops can be a great learning opportunity for any newer riders, so watch carefully and don’t be afraid to ask plenty of questions. We aim to help build these basic maintenance skills in all riders and offer mini-workshops on changing tubes/tyres. We are lucky enough to team up with the Ultimate Ride bike shop for bike cleaning lessons. These bike maintenance workshops are run on an as-needed basis. 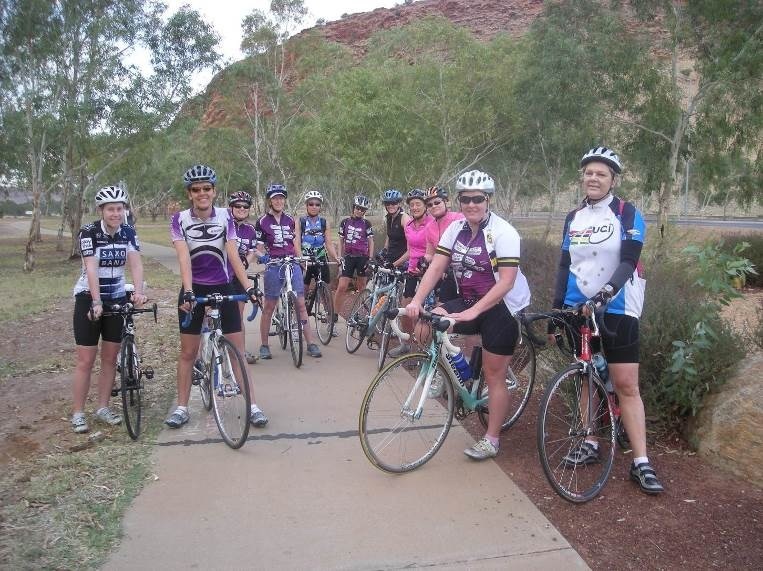 Riding in a group provides support and safety as well as good company. However, it also requires consideration, co-operation and communication with the riders around you. There is established etiquette and protocol for riding in a peloton (group of riders), this includes indicating hazards on the road and communicating any changes to speed or group formation. This only requires basic common sense and a willingness to learn from fellow cyclists. As well as communicating within the peloton, it is essential to consider other road users. Hand signals should always be used to indicate intentions to surrounding traffic. It is legal to ride 2-abreast in a peloton, however, at times riding single file is more appropriate. Riding in a peloton is a very efficient way of cycling. Whilst sitting close to the wheel in front of you, (drafting/in the slipstream), you do approximately 30% less work than the riders at the front of the bunch. This means that rotating these front riders regularly (‘rolling turns’) shares the workload and enables the group to maintain a robust pace, it also allows for the protection of newer or tired riders by providing them with a windbreak. 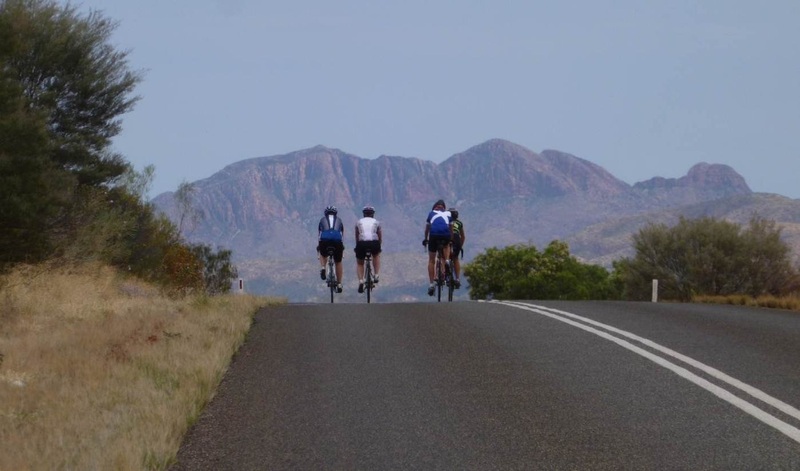 Speed and comfort on the bike will improve with regular training and good cycling technique, this includes correct use of gears and maintaining appropriate cadence (pedalling revolutions). 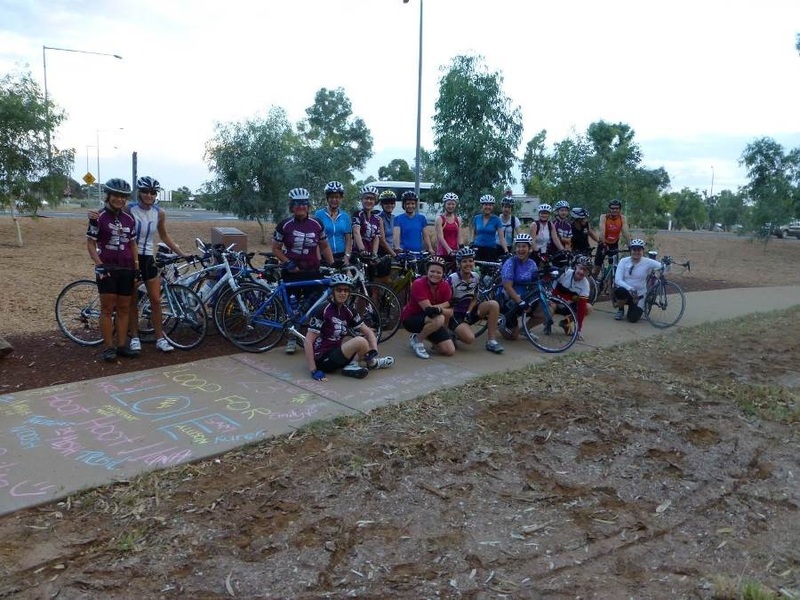 The Triathlon club has a small number of bikes available for loan to members. 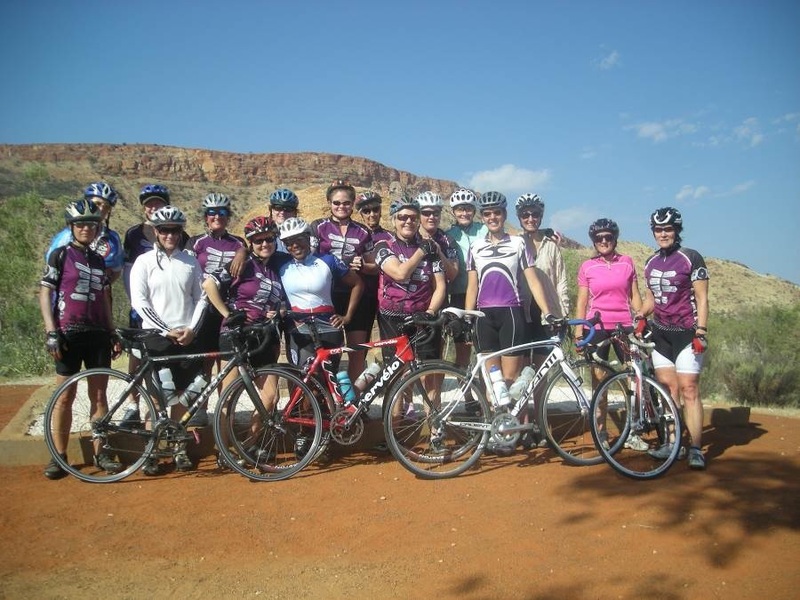 Within the local cycling community, there is often the opportunity to borrow a road bike to try for a short period of time. However, these bikes are often in high demand so short borrowing periods are encouraged and it is essential to care for the bike and return it in the same condition in which you acquired it. If looking to purchase a bike, please don’t hesitate to ask around as within the cycling community there are often second hand bikes available for sale.